Israeli government-owned defense contractor Israel Aerospace Industries Ltd. (IAI) is building a laser cannon intended to intercept mortar shells and short-range threats. 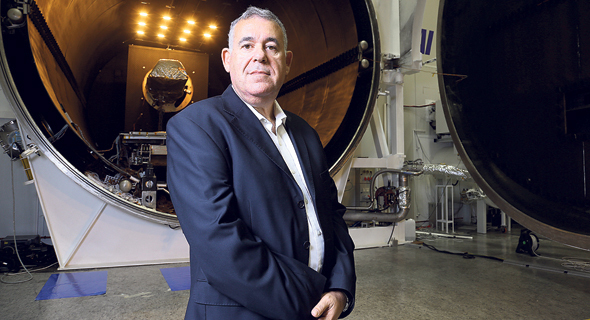 The company is “at a very advanced stage,” in the development of the cannon, and “successful experiments have already been carried out," Boaz Levy, IAI's deputy director of missile and space systems, said in an interview with Calcalist. In 2014, Israeli government-owned defense technology contractor Rafael Advanced Defense Systems Ltd. presented the first models of a laser gun called "Iron Beam," designed to target artillery fired from a range of up to 7 kilometers. Israel planned to use a laser technology to defend against long and short-range threats, but a development project was stopped in its tracks over a decade ago, and the Iron Dome was developed instead. Iron Dome batteries used by Israel to defend against rockets fired from the Gaza Strip were not designed to address short-range threats. A fast reaction time makes the cannon currently developed by IAI a possible answer to such threats, Levy said. While development started following requests coming from the Israeli military, Levy said, other countries may find the system suits their needs. Israeli Arrow Missile Production Moves to the U.S. Unlike missile-based defense systems, the cost of firing a laser cannon is low, and ammunition never runs out. Together with its subsidiary ELTA Systems Ltd., on Wednesday, IAI also unveiled a new drone-detection system. It uses both the newly developed laser cannon and an air-defense threat detection technology developed by IAI and recently sold as part of a deal to upgrade the Indian army’s anti-aircraft guns. IAI announced the deal earlier this month without identifying the customer.